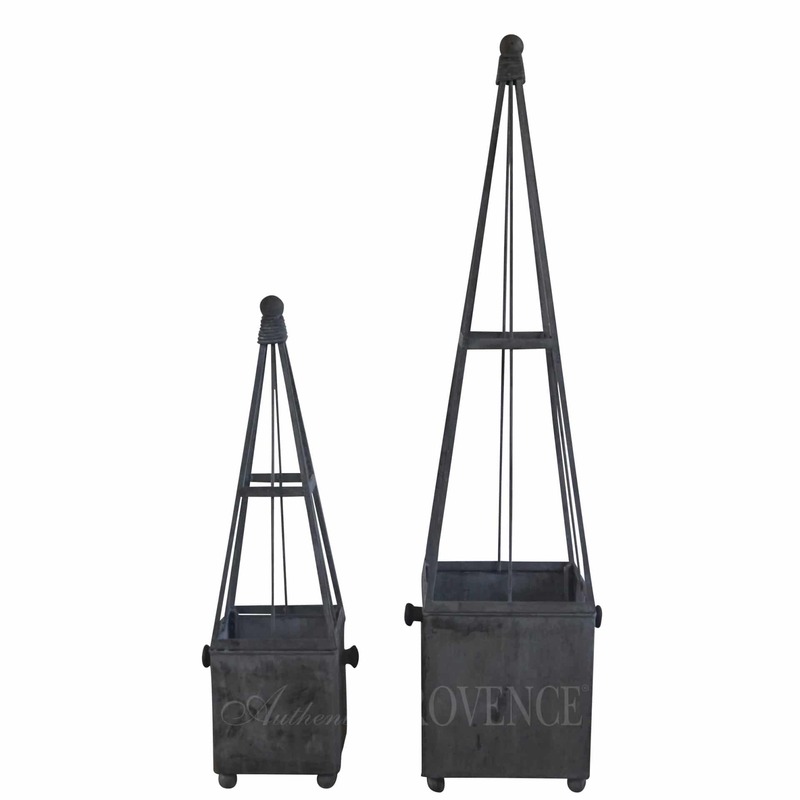 Few sights are more romantic in a garden than a trellis with hanging vines and lush flowers. 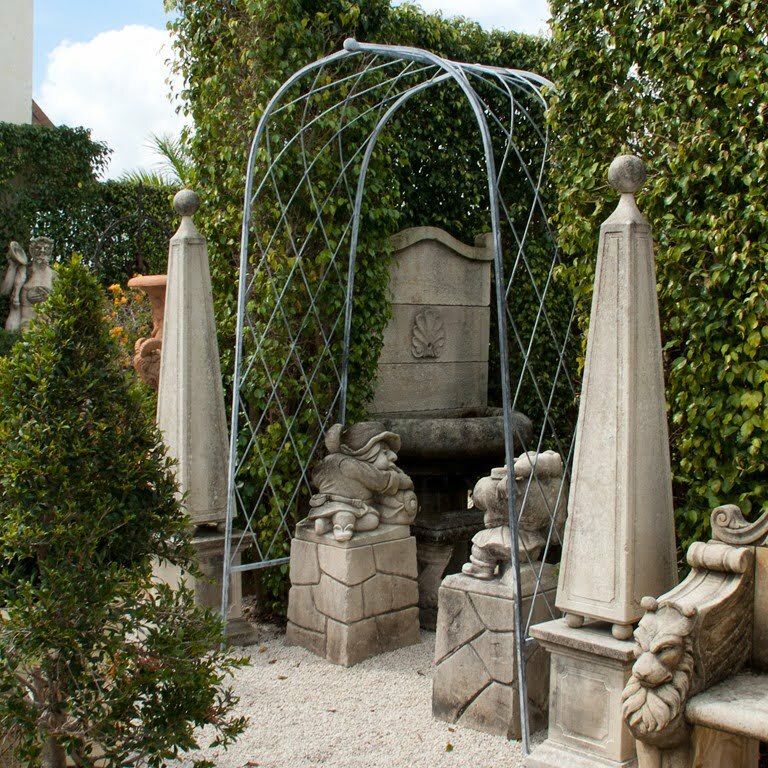 We offer an exquisite selection of galvanized metal trellises, obelisks and archways; many are topped with spheres and rope motifs. 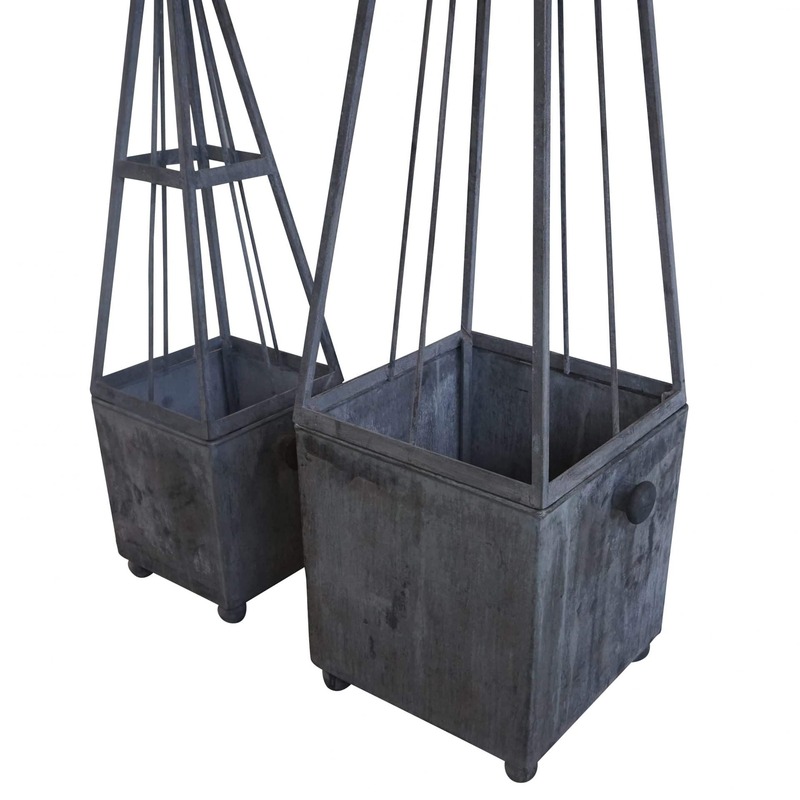 These structures are often combined with our galvanized metal garden planters. 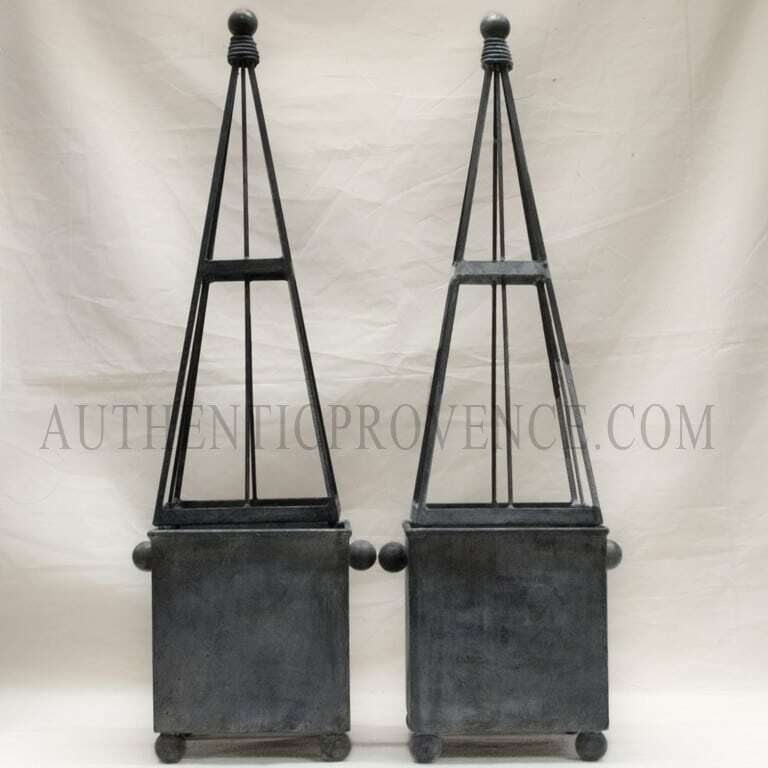 Additionally, we work very closely with our clients to select “the unique piece” that will enhance your exteriors.